Admatch without Trying: Introducing Savings Catcher! There are very few things I get excited about when it comes to savings news or technology. Yes, there are some cool things out there, but none are exactly life-changing. This next thing I'm about to tell you about, however, might be the single MOST exciting thing to happen to my shopping routine. I have actually saved real money by doing pretty much nothing -- and it launches Aug. 4th! Do you want to hear about it? Of course you do! Walmart has always had a pretty good ad match policy. You don't even have to bring your ad in; just state what the price is that you are matching. Now, however, you don't even need to interact with the cashier. You can even use the self-checkout lanes and do your ad matching! 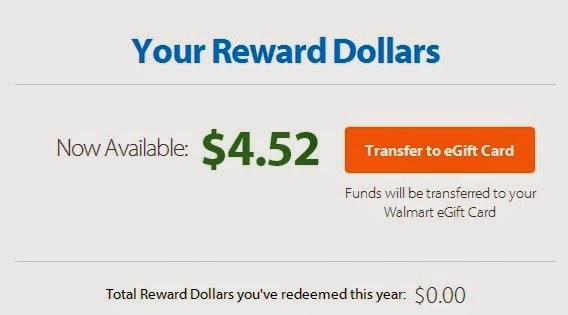 After you've registered for a Walmart.com account, simply use the Savings Catcher site to input the TC# (receipt number) found at the bottom of your receipt. You'll also need to enter the date you shopped. 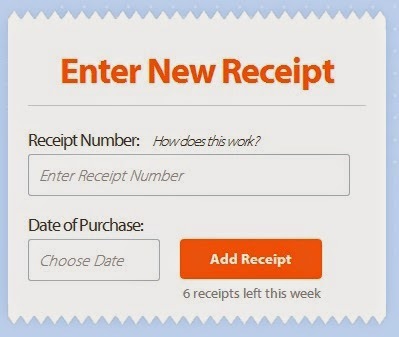 You need to do this within 7 days of shopping, and the Savings Catcher site will go through all the ads for your shopping area and match them for like items you purchased. That means that you are guaranteed the best price! It takes up to 72 hours for your receipt to process, and when you do, you'll get an email with the savings. For items that Walmart had the best deal on, you've already saved. But for items where a competing store had a better priced on an advertised item, Walmart will give you a credit for the difference which can be saved up and cashed out at your convenience as a Walmart e-gift card for use in-store or online! Usually I buy Great Value brand products, as they are cheaper than name brand. In the case of an extremely busy shopping day, however, I promised my son he could pick out a pack of gum in the checkout line for helping me. He picked a pack of 5 gum, and we were on our way. When I got home, I entered my info at the Savings Catcher website, and 72 hours later, I was notified that I had a credit of $.59 added to my account. Apparently, Walgreens had a deal on the gum that I wasn't even aware of! For now, not all stores for all ads may be showing up as competitors, and the program isn't fully launched until August 4th. My area showed only 2 stores that they were price matching, and in the future, I'd like this to be more. For now, you can use the Savings Catcher in addition to any price matching that you are doing until you know that all the stores in your area are covered. In addition, this next week will show savings for more than just food and grocery. The Savings Catcher program will also match on thousands of other items in-store, including school supplies! You no longer have to scour ads for the best prices on crayons, markers, and more. The Savings Catcher app will do it for you. Note: Eventually this program will be able to be used as part of the Walmart iphone and Android app. For now, however the website is where it's at! What do you think about this new program? Will you use it when it becomes available Aug. 4th? Will it replace your regular ad-matching habit, or will it be new for you?